Alhamdulillah, one of the brothers received his acceptance letter in the mail. So don’t despair. In sha Allah you will get it soon if you haven’t already gotten it. 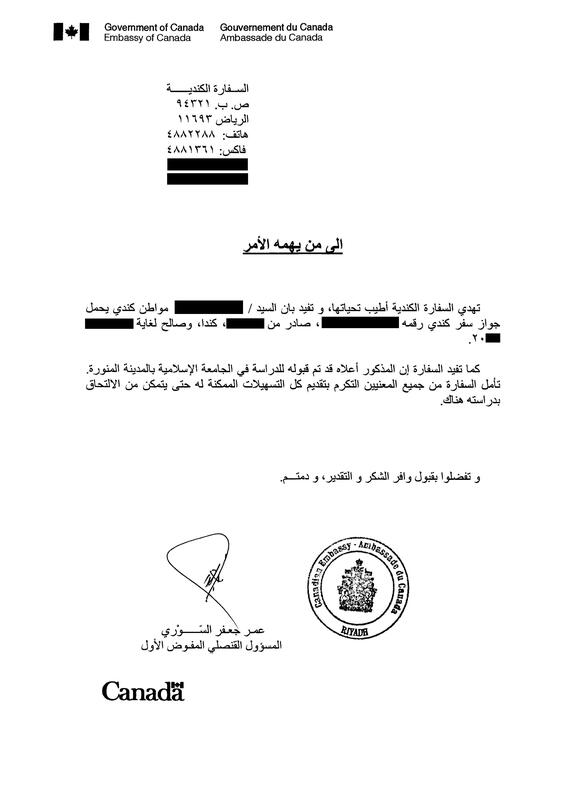 The same brother said: In case you’re asked by any brother who hasn’t gotten the letter of no objection yet, they can get it by calling the canadian embassy in riyadh and contacting someone in the consular services section at 01196614882288. All they would have to do is e-mail a copy of their passport to them after explaining what the letter needs to say and the embassy will send them the letter through the mail. I did this the day before yesterday and was told that the letter had already been sent yesterday. I also got the same letter 2 years ago. In my case however, it got to me after I was in Madinah already. It explicitly says the Islamic University of Madinah, unlike the letter from the consulate in Jeddah which is very broad in its meaning. I’ve attached the letter I got from the embassy in Riyadh. May Allah make the procedure easy for you and get you into the blessed city of Madinah soon.